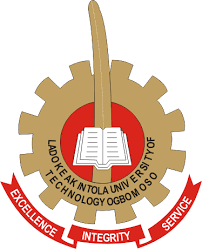 The date, time and venue for the Ladoke Akintola University of Technology (LAUTECH) part-time screening exercise / entrance examination for the 2018/2019 academic session have been released. See LAUTECH part-time entrance exam schedule and requirements below. This is to inform all the candidates that applied for admission into the Ladoke Akintola University of Technology (LAUTECH), Ogbomoso, 2018/2019 academic session part-time programmes that the management of the institution has announced the date for their entrance examination. LAUTECH Part-Time Entrance Exam Schedule. LAUTECH Part-Time Screening Exercise Required Documents. Online application form and payment receipt. Referee letters from two (2) different persons.